Are you working in a small shop? 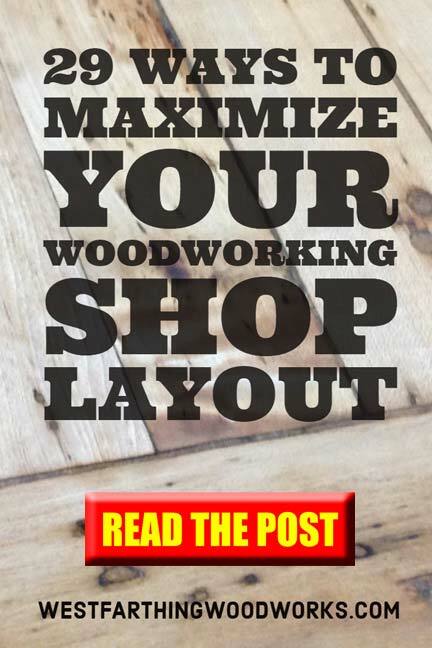 Need to maximize your woodworking shop layout so you can benefit from every last square inch? These 29 helpful tips will show you how to get the most from your space, no matter how big or small. I know the pain first hand of working in a small shop. Over the years, I have been in everything from a basement to half of a single car garage. Yes, you read that right, half of a single car garage. Near the door no less, so it was like working next to a huge frying pan in the summer. However, no matter the environment, you can turn you great work. It’s not about the view, it’s about you. The best thing you can do if you have a smaller shop is to make a few changes to expand the space. There are simple things that you can do right now to make your space feel bigger, get more room to move, and organize your tools. 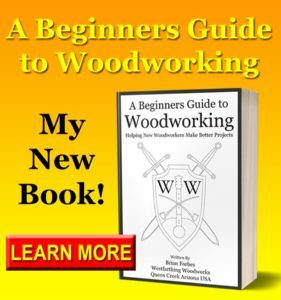 Many of these ideas are from A Beginners Guide to Woodworking, and they all are designed to help new woodworkers make better projects. Lets go into more detail for each of these ideas, and why they can help you maximize your woodworking space. Most of the time, you don’t think about using the walls for storage. This is where peg board really shines, and can actually add square feet to your woodworking shop. The more you get off the floor and into the walls, the more area you have in the shop. If you have a lot of tool boxes, tool storage, or other stacks of tools that can go onto peg board, this is a high impact project for you. Simply buy a couple sheets of peg board, and install them on the walls. Peg board comes in 4×8 sheets, and all you need to do is build a thin frame behind the boards to keep them off the walls about half an inch. This is so the pegs can poke through. Then, take all of your smaller and even medium sized tools and hang them. This does take time, but it’s actually a lot of fun. Get everything you can on the peg board, and you will actually get some value and storage space from your walls. If you are not able to use peg board, you still have another option. Some places will not allow peg board if you are renting, or you may not be in love with making holes in your walls. Either way, there is another method of eliminating smaller tool boxes. If you pick up a tall tool box, or one large tool box, you can get rid of all the smaller units and store your stuff better. It will take up less space, and it’s mobile too. When you move around the shop, you can roll the tool box with you if you don’t want to walk. Peg board is still a better solution, since you are not adding to your floor space. However, if you are taking tool boxes off the floor and eliminating them, you can still break even with a box. Look for a taller box, again for a smaller footprint. 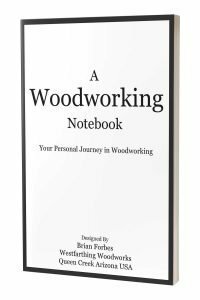 To get more from your woodworking shop layout, you have to think about the tools that you will be using. If you are brand new, you have an advantage, because you may not have everything yet. In this case, you can buy more selectively for the smaller space. Most of my tools are bench top models. 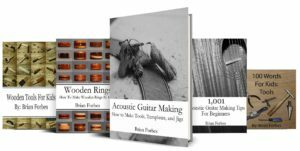 I mainly make guitars and smaller projects, so this is great for me. If you are making similar projects, you really don’t need giant tools, even though they are fun to have in the shop. A bench top table saw takes up only a small fraction of what a floor model does. It also limits the size of material, so you don’t have to make in feed and out feed tables that can handle a full sheet of plywood. Think about the size of your tools when you are in the store. If you don’t need a five foot lathe, then don’t get one. All it will do is take away more space in an already crowded woodworking shop, and you will not get any benefit from the size. I touched on this in an article called Woodworking Shop Layout for the Small Shop, but what do you do if you already have big tools? If you are already up the creek, it’s time to build a paddle…or a mobile base. You can keep your larger tools by simply putting them all on mobile bases. When your tools are on wheels, you can simply roll them out of the way when you are working in the shop and need more room. They are not expensive if you make them yourself, and they last just about forever. If you have medium weight tools, think about making the bases yourself. For the really big tools, you might want to buy a base that is made from metal. If you are making bases, simply make a frame from 2x4s and then add heavy duty locking casters. One of the best things that you can do for your smaller shop layout is to power all of the tools and hide the wires. It’s already hard enough to get to everything in a tiny space, so you don’t want to be trying to reach for plugs and cords. Having to plug everything in, one tool at a time while working in the shop is a complete waste of time. Yet, this is how a lot of woodworkers do it. You waste so much time, and you risk injury by having to plug and unplug everything in your shop every time. Instead, invest on some power strips and extension cords. Maybe even hire an electrician to run a couple new outlets for you. After that, run power to every single tool, and tuck away the wires with zip ties. All of your tools will have power, which saves you time, and makes you more productive. 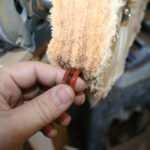 See Also: Woodworking Tips Cards – Safety in the Shop for more ways to be safe and have a better experience as a woodworker. In garages, you will likely have a power outlet in the ceiling. Some garages have a couple of these, one for a light and the other for the door opener. You can pull power from these sources just as well as any wall mounted outlet. One of the advantages to ceiling power is that you can install one of those extension cord reels and simply pull it down then you need power. These are great, because you will be using a lot of smaller tools, and they need power too. When you use a hand tool, grab the cord and pull some of it from the reel. The cord will stay right there until you are done, and you can roll it back up. The cord also stays out of the way, and you risk damaging it with the tool a lot less. One way to make your space feel bigger is to not allow your space to drain energy from your body. If you are working on a hard floor, the surface itself is actually taking energy from you, even though you might not notice. Place a couple anti-fatigue mats in areas that you work. A couple good candidates are right in front of your bench, and in front of the tools that you use the most. These are cushioned, and will soften the feeling of the hard floor. If you want to take it to the next level, look for kids flooring squares and cover the entire area that you walk on. 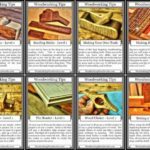 Since you have a small shop layout anyway, they will not cost a lot, and you can probably find them in a garage sale if you look around. If you can arrange your shop so that the tools are on the outsides of a open circle or oval shape, you can get the most from your space. The horseshoe is one of the most space saving and area maximizing layouts you can choose. When you are in a confined area, you can place yourself in the middle. This gives you one standing area that has access to all of the tools, and takes away the wasted space in having an area like that in front of every tool. In a ring, or horseshoe, you have all of your tools on the perimeter, and you are in the center. Any time you need to get to a tool, you only have a very short walk. This works the best in a garage, where you can open the door as an out feed for larger machines. Improving the lighting in the shop is another way to maximize the space. While it may not seem like lights can make a space bigger, they can. The more you can see, the bigger the shop will feel, and that will make you feel better. A dimly lit, dreary shop, makes you want to stay in the house. Dimness can actually be confining, and make you feel like you are in a smaller space. On the other hand, if you light the area really well, it will have the opposite effect. Look on Amazon for “LED Shop Lights” and you will see a ton of options. The really big thing right now are the super high power lights that are really inexpensive, and look like a single bulb florescent fixture. This is the set I have, and they are amazing. When I plugged in the first light, it was already brighter than all three cheap fluorescent light fixtures I was replacing. The kit comes with 8 lights, long connectors, short connectors, switched power cords, and mounting hardware. All I needed was a ladder and a drill to install them on the ceiling. I actually feel kind of dumb for waiting this long on my lighting. I never really knew that the LED lights had come so far, and that the price had dropped so much. My shop looks so much better, and I can see better too. If you are thinking about dust collection, look at a smaller mobile version instead of a monster collector. The big collectors need a lot of floor space, and they also need pipes running all around the shop. This can be a lot for a small shop. To get the most from the small woodworking shop layout, don’t let a really big tool enter the space if you don’t have to. The dust collector is a great tool, but if you can’t fit a large model, think about a mobile unit. Smaller dust collectors are popular, and they are at a much more attractive price point than huge units. The smaller footprint means more room in your shop, and all you do is move it to whatever tool you are using. An air cleaner is a nice unit to have in the shop, and it can help reduce some of the floating particles in the air. Instead of getting a floor standing or bench top version, get a ceiling mounted cleaner instead. The ceiling is a wasted space, because you can’t do anything up there. If you can move a tool from the floor or a bench to the ceiling, you will finally get something from that once wasted space. Lots of dust cleaners are meant to be installed on the ceiling, so you are in luck. Look for a model that is easy to hang, rated for the size of your shop, and that you get replacement filters for easily.Then, put your ceiling to work to increase the size of your shop. Benches are space eaters, especially if you don’t do something under them. The open air space is wasted unless you figure out a way to store something. In a small woodworking shop, every part of the layout is critical, and adding storage can help. 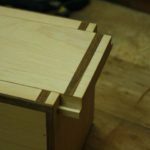 Drawers are easy to make, and they are a great beginner project. You can make several of them very quickly, and inexpensive glides can be found online easily. Not only do you get a fun beginner level project, you also improve you shop, so it’s a double win. Any bench that has nothing under it can benefit from having drawers. Make some shallow drawers that are about 4-6 inches deep, and mount them under the bench top. Now, you have more storage, and less clutter in the shop. If drawers are not your thing, then you still need to do something to maximize the space under the benches. You can do a few things to create storage areas, even if you don’t make a single drawer. Tools that are too large for the peg board still need a place to live. You can create cubby holes for your tools, and store them out of the way. The space they once occupied is now free, and the shop will gain more open area. Another thing you can do is create jig storage. Look at your jigs and create an area under the bench that you can store them in an organized way. This improves the care of your jigs, and also gets them out of the way to open up the shop. Your wood storage area is really a dead space. You do need wood, and you do like wood, but think about it objectively. All the wood pile does is sit there. You really get no benefit from that space, and you can’t create anything in that area. The smaller you can make your wood storage area, the better. In a small woodworking shop, the layout of the wood storage is important. Create a small area, stock it well, keep it organized, and you free up more of the shop for productive work. Another thing that you can do to help minimize this area is to buy wood differently. When you have a big space, you can buy anything you want. In a small space, buying wood more carefully, and getting only what you need will make a big difference. For sources of free wood, take a look at 15 Great Places to get Woodworking Wood. Some woodworkers have a gigantic mega-bench that is just way too much for a smaller shop. If you already have one of these, you might be stuck with it. However, if you can sell it, or if you haven’t bought a bench yet, you will do much better with a modest bench. Most of the work that you do is going to happen withing arms reach on your bench, so anything much bigger than that is going to be a waste anyway. In most cases, when you really look at it, you don’t use very much of your bench at all. In a small woodworking space, you need every inch. Look for, or make a bench that does what you need, and has just enough space. Anything bigger is just robbing your square footage, and reducing the size of your shop. 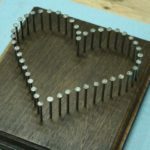 To find some inspiration, and maybe see what other woodworkers are doing in their small space, take a look at 11 Great Ways to Find Woodworking Inspiration. Most tools have an area where you need some room to feed stock into the tool, and more room where the stock exits the tool. These are known as the in-feed and out-feed areas, and they are important. After all, if you can’t put wood through the tool, you can’t use it. As you design your layout, place tools like the table saw, band saw, jointer, and planer in areas where you can feed them stock without obstructions. The last thing you want is to be cutting a piece of wood and hit something as the wood exits the tool. This is dangerous, and can ruin your project as well. As an alternative, you can also add mobile bases, which were already mentioned. If you can place the tool so all you need to do is roll it out, this can be an easy way to clear your feed areas, and make the tool easy to use in a smaller area. If you need to buy floor standing tools for the work you do, then look for the tools with the smallest footprint. There are big differences in size even among the already large floor standing power tools. Watch what you buy, and maximize your space. Drill presses are a good example, because some are wider than others, but they all do essentially the same job. The table top is where the real width comes in, and depending on what you make, you might only need a basic table top. Table saws are also quite different, and can be as much as twice as large from model to model. Look at what you need the tool to do, and buy a model that has the smallest footprint. Add in a mobile base, and you will make your shop less crowded. If you are making some storage areas, remember that a taller set of drawers is much better for a small shop than a low and wide set. You are the designer, so you have the ability to make the right decision for your shop. Instead of designing a low set of drawers or rolling cabinet system, design a narrow and tall version. The storage space will be the same, it will just be taller. In fact, as long as you can see in the drawers, you can go pretty high with the design. A six foot high and three foot wide chest will hold the same amount of tools as a six foot wide and three foot high chest. The only difference is that the first box will take up half the floor space. This is a huge difference, and all you have to do is watch your design. There are a number of interesting ways to store wood. When designing your woodworking shop layout, consider putting your wood on the ceiling. A ceiling mount storage system is easy to set up, and is essentially free space. Ceiling storage is best for longer and larger pieces of wood. These would take up the most space on the ground anyway. If you get them into the air, you create a storage space that has zero impact on your shop area. You will still need an area for smaller stock, but you can get the bigger and longer pieces off the floor easily. Add in a small step ladder, and you have instant access to your stock whenever you need it. Tools can do a lot more than they seem, and most new woodworkers don’t know what their tools are fully capable of. In the beginning, it will be tempting to buy new tools any time something comes up. Instead, learn what your tools can do first. After learning the maximum capabilities of your tools, if you still are faced with something that they can’t do, then by a new tool. The more you prevent buying tools that are essentially a repeat of tools you already have, the less you will clutter up your floor space. For example, if you have a router table, then you have a basic jointer. While it’s nice to have a real jointer, the router table will do just fine. You will save shop space, and save money too. See Also: Know What Your Tools Can Do – This is helpful for understanding that your tools are capable of a lot more than you may know in the beginning. This seems funny, but there are so many woodworkers that have a massive trash can in their shops, and it’s full of small debris. While it is nice not to have to empty the trash can for a long time, the big cans take up a lot of space. Instead of grabbing a 55 gallon monster from the home improvement store, look for a small can that, (I know it sounds exhausting) you might have to empty more often. A five gallon can is plenty for most woodworkers, especially since you save the good scraps anyway. Place this can under a bench, or under something else so it is out of the way, but still close enough to use. This reduces the foot print down to nothing, since the benches were already taking up that same space. Just like big trash cans, a giant scrap bin is a waste of space. On top of that, a giant bin where you can’t see the bottom is also a waste of an idea, because you can’t use scraps you can’t see. If you make a smaller scrap storage area, and not a massive pit where you throw things you can’t seem to part with, it will have a couple benefits. First, it will take up less space, which is the goal of this entire project, and second it will function better. A scrap bin where you can actually see what you have works better. When you need a small piece, you can look inside and see everything. You grab what you need, and you don’t end up missing pieces you can’t see. Your bin stays cleaner, and becomes less of a junk container too. 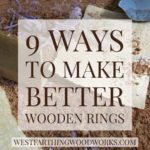 See Also: Become a Wood Hoarder – The best way to get free wood is to save your scraps, and to do so in an organized way. When you work with a tool there are things that you commonly end up using at the same time, and these can be grouped together. If you have already added drawers and storage under your benches like previously mentioned, this will work out really well. For example, you can put drawers under your lathe and fill them with the things that you use while operating the lathe. Fill them with lathe tools, chucks, and sandpaper. Now, all of your lathe related things are right near each other. Repeat this process for all of your other tools, and you will create small zones where you have everything you need to use a certain tool. This will make your shop more efficient, and in turn make it feel bigger than it already is. Natural light has an amazing effect on the body and the mind. If you work in a place without any natural light, you quickly notice the effects. There have been studies as well that point to natural light being very important. If you can, allow some natural light into the shop. This can be in the form of a window, or opening a door. If you can add in some natural light, you will feel like your space is bigger, and you will feel like you have a larger shop. If you are in a place where you don’t have windows, maybe look into a skylight or ducting in some natural light. It will be a process, but even basements can be fitted for light that can be a simple window at ground level. If you are in the garage, the easiest way to increase the space is to open the roll up door and let in the outdoors. This can be difficult in certain seasons, but in general, opening a door or a roll up door will make your shop feel bigger. Though this does not change the shop layout, it does add space mentally by opening up the area outside the door. If you are in a garage, you can also end up with a small breeze, and even some natural light. The mental difference between working in an open space and a closed space is huge, and you will feel like you have done something to the layout even though you have not. Again, sometimes the feeling is more important than anything else. The air compressor is one of the biggest and the loudest tools that you have in the shop, especially if you use a lot of pneumatic tools. The noise can be overwhelming, and startling too when the unit randomly fires up. Instead of keeping this unit inside the shop, where it takes up space and is a distraction, plumb the unit so it can be outside or in another room. This has the benefit of reducing the sound, as well as opening up floor space in your woodworking shop. The process is as simple as putting a pass through from one side of a wall to another, and running the compressor line through that opening. The unit lives in another room or outside, and you have more room with less noise. Just like the air compressor, you can have a big effect on your shop layout by moving the dust collector outside. This is best for those with a stationery dust collector, and the pipes already in place. Simply move the collector to the new home, and then duct the piping to the collector. A few hours of work, and your dust collector is now in a different place, and making a lot less noise than before. This is good for your ears, and your floor space. If you have neighbors that complain about your collector, you can simply build a box around it with foam insulation. Look online for plans and safety guidelines, but there are a lot of creative people that build boxes around their collector to make it more quiet. For larger projects, working in a small layout can be tough. However, with most projects you can take them apart into smaller sections. Work on these smaller sections one at a time, and then bring the project together in the end. Even if your project does not have identified phases, you can create them by looking for natural stopping points. Maybe your project has several pieces? Each of these can be a stopping point where you set that piece aside and work on another. Once you have all of your pieces completed, then you bring them together. Depending on where the project is going to live, you might even be able to assemble it in place. This means bringing the pieces to where it will go and building it right there instead of in the shop. Compared to you, your shop layout means nothing. Don’t ever think that the size of your shop, or your constraints are going to define you as a woodworker. You are the biggest factor in whether or not you will be successful. These layout ideas are designed to help your shop feel bigger, and even actually be bigger too, but they can’t replace the power of you. You have to believe that you can make anything in your shop, and if you do, you will be successful. It seems odd, but once you believe it, you will be able to do it. You will no longer be looking for reasons not to make something, but for reason why you should make it. Your focus will be on figuring it out instead of talking yourself out of trying. This is where you really take your woodworking shop to the next level. Take a look at my shop, and you will see that it’s not about the size, it’s about what you do in your shop that really matters. Here are the 29 ways one more time, and stick around after that so you can see your homework assignment. 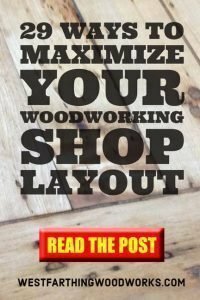 These are all great ways to make your woodworking shop layout look and feel bigger. Put peg board on the walls, and start using an overlooked shop space. Rolling tool boxes get all of your tools in one place. Look for smaller tools, and bench top models rather than gigantic tools. Put your bigger tools on mobile bases so you can move them around easily. Run electric to all of your tools and conceal the wiring. Pull Power from the ceiling for mobile lights and for smaller tools. Anti Fatigue mats on the floor, less wear on your body. Horseshoe shape shop layout for maximum space saving. High output LED lights instead of larger lights or bench top lights. Mobile dust collection rather than adding plumbing to the shop walls. Use a ceiling mounted air cleaner rather than a floor or desk unit. Make drawers for all bench tops that have the space under them. Create storage areas under benches to use the open space. Make a smaller wood storage area, and buy less wood for a while. Have a modest workbench, no mega-benches in a small wood shop. Watch your in and out feed areas for obstructions when designing a layout. Look for floor standing tools with the smallest footprint. A tall set of drawers is better than a short and side set. Ceiling mounted wood storage area to use an area that is rarely thought about. Don’t buy redundant tools, learn what you tools can do. Use a smaller trash can. No huge scrap bins, organize, decide, and part with what you don’t need. Group commonly used items together so they are in easy reach when needed. Allow natural light inside if you can. Allow for opening a door or roll up if you can. Plumb the air compressor outside or into another room. Plumb the dust collector outside, or away from the main working area. Build larger projects in phases, and then assemble them later in the process. Never feel like your space determines the quality of your work. Put one or two of these space saving woodworking shop layout ideas into effect in your shop right now. Pick one that will make the biggest difference for you, and put it into practice in your shop. When that one is complete, find a second and get it going as well. As you start to see the layout feel bigger, be bigger, and function better, you may decide to use more of the techniques, and I hope you do. The best of these ideas to start with are adding peg board, increasing the lighting with LED lights, adding drawers under all of your benches, and creating a layout that has you in the center and your tools on the outside. Start here if you can, and it will have a big impact on how big you perceive your shop to be. Thanks for the tips. I have a small work shop and have implemented most of them. Great piece. Thank you Jim, I really appreciate the kind words. I think that woodworkers are some of the most adaptive people when it comes to their working space. It seems that if you just do a few things to make the space the best it can be, you can produce excellent work no matter the circumstances. I have seen beautiful work come off a kitchen table before, which proves that it’s all about the person, not the shop. That being said, making the shop comfortable is a good thing, and when you can, you should. If you have any questions or need any help in the future, please email me and I will do my very best to help. Thank you again, and happy building.